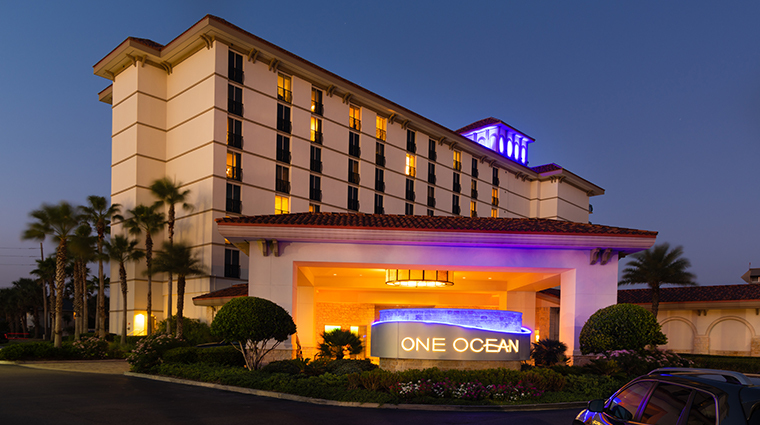 Personal touches, attention to detail and a distinct oceanic influence are hallmarks of One Ocean Resort Hotel & Spa in Jacksonville, Fla. Skip check-in and head straight to your room, where the hotel’s guest historian has prepared for the visit by stocking it with personalized snacks, pillows and goodies. Docents ensure every need is met during your visit, from specific requests to managing special events like birthdays or anniversaries. You’re treated to attentive service at every turn, from the elegant, peaceful Spa at One Ocean to the seasonal First Coast cuisine in Azurea, the hotel’s signature restaurant. 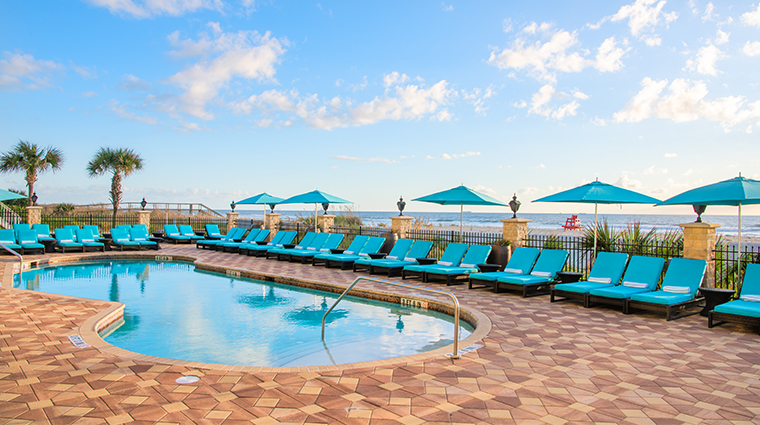 You really can’t get any closer to the Atlantic Ocean than here, and many rooms boast outstanding views of the sea. You’re just steps from tranquil white sandy beaches and the soothing sounds of crashing waves. Request a balcony oceanfront room on a high floor to fully take in the sights. Situated on a surprisingly vast and uncrowded stretch of white sand beach and the expansive blue Atlantic Ocean, the luxurious property is within walking distance to the quaint shops, restaurants, art galleries, nightlife hotspots and cobbled streets of Beaches Town Center. We suggest you experience the marine-inspired treatments at the Forbes Travel Guide Four-Star hotel’s spa, which include options like a seashell massage and a sea foam envelopment. Post-facial, enjoy a mimosa in the relaxation lounge while admiring the views of the Atlantic. The personalized docent service offers complimentary shirt pressing, shoe shining, unlimited non-alcoholic beverages and snacks and a personalized butler who will attend to your every wish and whim. The holiday season is particularly special at One Ocean Resort & Spa; there’s seasonal cuisine, daily high tea, shopping packages and gift-wrapping and a life-sized gingerbread creation that’s kept under wraps until late November. Although the pool chairs are free for you to use, there’s a surcharge if you want to sit out on the beach. Accordingly, most guests just lie out on towels, as the wooden beach chairs themselves aren’t quite as plush as those by the pool. Keep your eyes peeled out for sea turtles as the female loggerhead species will leave the sea at night to deposit her eggs on the beach. Just know it’s illegal to touch any sea turtle, and if you see one washed up upon shore, call the Beach's Sea Turtle Patrol. The kids will love the activities at the Sea Turtles Kids Club, which occasionally also include week-long events, like a week-long culinary camp where the little ones learn the ins and outs of being a gourmet chef. Also on the room service menu, you'll find tuna sashimi and foie gras pâté as well as bowls of sparkling water, should you be traveling with Fluffy and Fido. Each of the 193 guest rooms features floor-to-ceiling views of the Atlantic Ocean, a startling panorama splashed with light blue, turquoise and sand. Décor is marine-inspired, featuring blown glass and shell sculptures in open, airy spaces. Each room features a personalized mini-bar filled with items selected by you, the guest, prior to visiting. Heat-activated sensors alert the concierges, known as docents, whether you’re in the room, so as not to disturb you. Every room has a 42-inch LCD TV, iPod docking station and Wi-Fi to use at your disposal. Azurea is One Ocean Resort & Spa’s signature restaurant featuring a menu and décor unlike any other restaurant in Jacksonville. Executive chef Ted Peters pays exquisite attention to detail with each seasonally-updated dish, sourcing local and regional ingredients wherever possible for a menu infused with flavors from Europe, the Caribbean and the Americas. Overlooking Atlantic Beach, with its sand dunes and rolling blue waves, Azurea offers a view of the ocean from every seat in the house. A separate menus is available for in-room dining (an experience — not merely room service), at the sea-inspired Spa at One Ocean and at the waterfront Azurea Lounge.